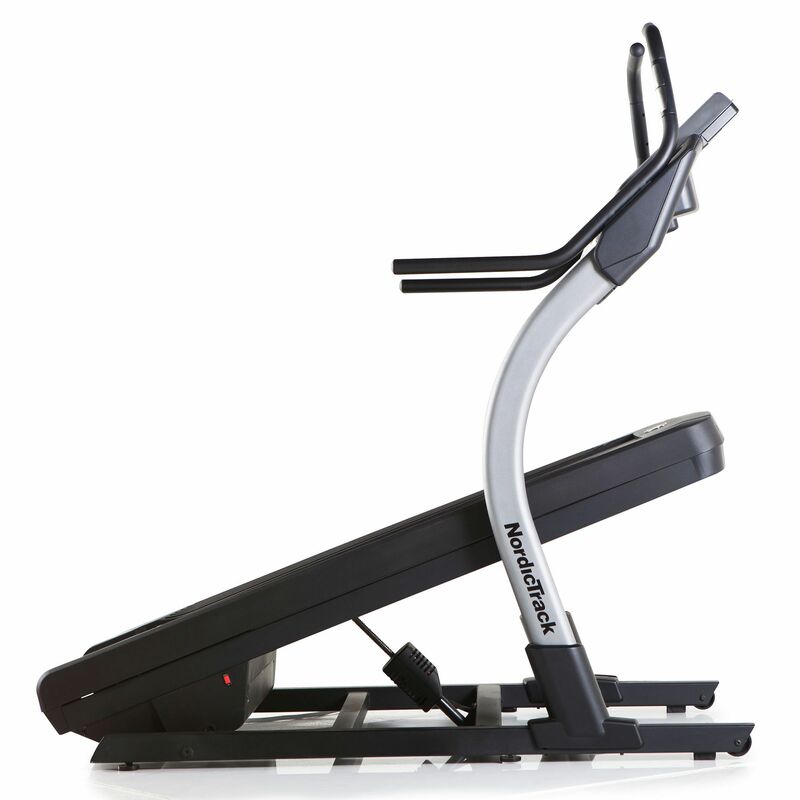 The X9i incline trainer from NordicTrack has a continuous duty 3.0 CHP DurX™ commercial plus motor (4.5 HP peak) and offers a maximum speed of 20kph (12.4mph). Designed to take your workout to new heights, the machine features an impressive decline/incline range of -6 to +40% to let you burn 5 times the calories just by walking. The 1-Touch™ Incline, Decline and Speed keys allow for easy and quick changes, whereas a 10-inch full-colour touch display with Android™ web browser helps you stay entertained and keep track of key workout statistics. 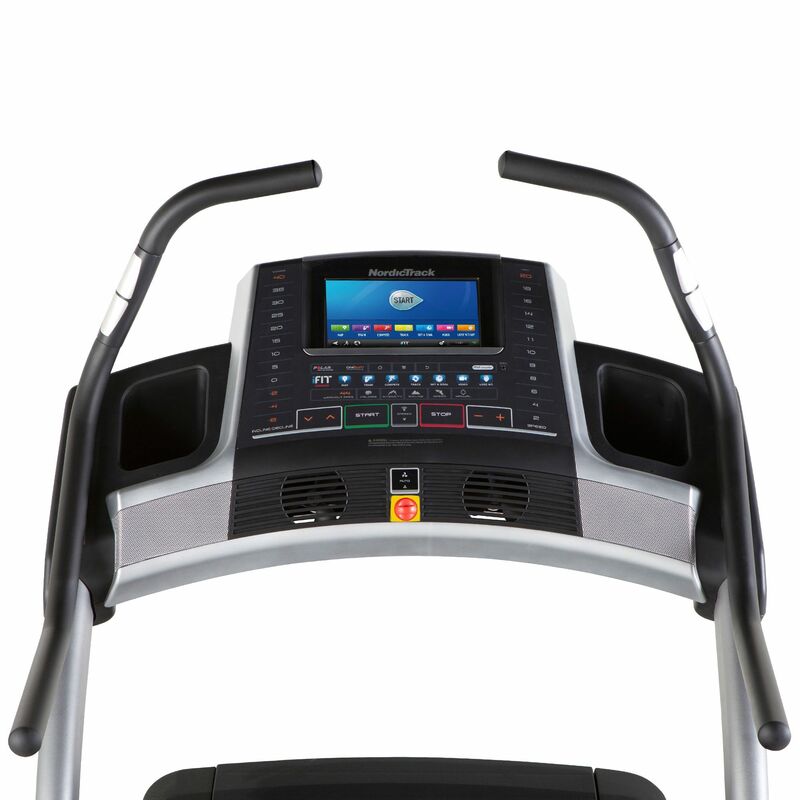 The incline trainer has a huge selection of 47 programmes and provides you with countless interactive workout possibilities due to iFit® functionality. Keep your joints and back protected and comfortable thanks to the ReFlex™ cushioning and listen to your favourite music while reaching the goals using the Intermix Acoustics™ 3.0 speakers. We wanted a machine that was as good as what you'd find in a gym as I have a big family and they all wanted to use it. This ticked all the boxes and I have to say it's my favourite piece of home fitness equipment I have ever owned. Feels just as good as a commercial machine and the display and functions are fantastic. It gets used nearly everyday. 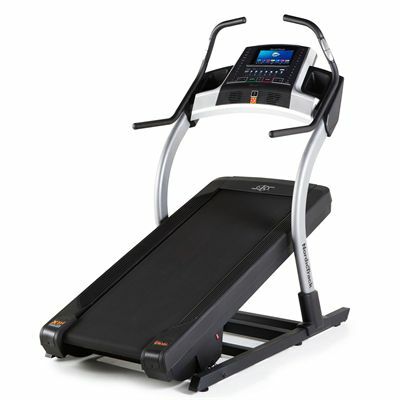 The maximum incline level is very steep and provides a seriously strenuous workout even when walking slowly. Really delighted with this machine and I'd recommend it to anyone that's got problems with their joints and can't run but still wants to get a good cardio workout and burn the calories off. Would also highly recommend having this installed rather than just delivered as putting it together could be considered a serious workout in its own right, as we found out! for submitting product review about NordicTrack X9i Incline Trainer Treadmill.